More than carving pumpkins or gobbling down candy or dressing up in costumes, Halloween is a great excuse to set free your inner dad and go all out on bad puns and cheesy jokes. 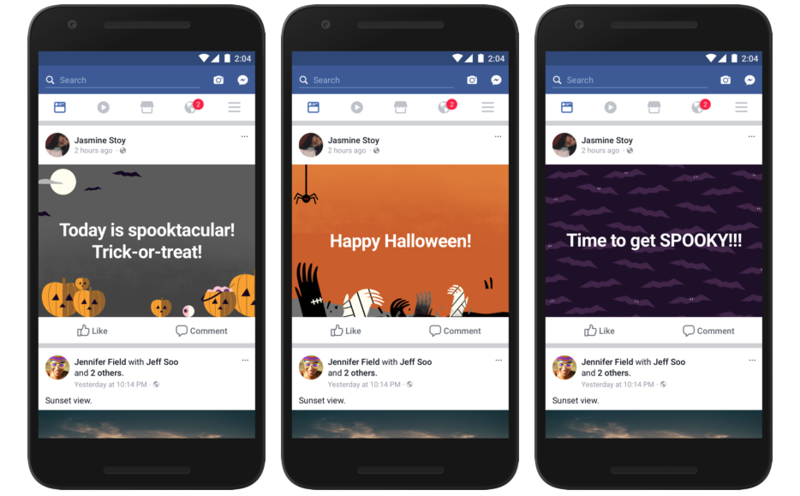 Facebook is obviously no stranger to a well-placed corny joke, so it's announcing a bunch of "spook-tacular" new effects for the Facebook and Messenger apps that'll help users get into the Halloween spirit. In the camera on both apps, you'll be able to add effects when taking a photo, including Halloween-themed masks, stickers, and frames directly from the camera. 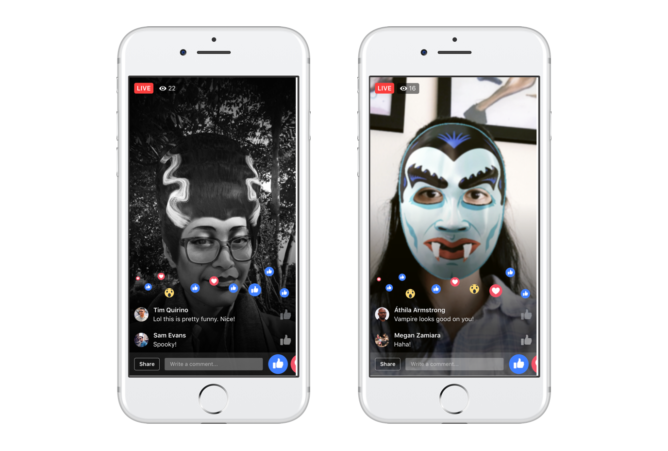 Masks will even work from within Facebook live and Messenger's video chat, so you can get dressed up with truly the least effort imaginable. Facebook now also has a cute little mini-game within the camera app in which users have to jump to try to escape a haunted house. There's a fun twist to the game since you'll have to turn your head from side to side in order to change the direction in which your character jumps. In addition to the new camera effects, users will also be able to decorate their posts with Halloween-themed backgrounds to make plain text posts a little more interesting. 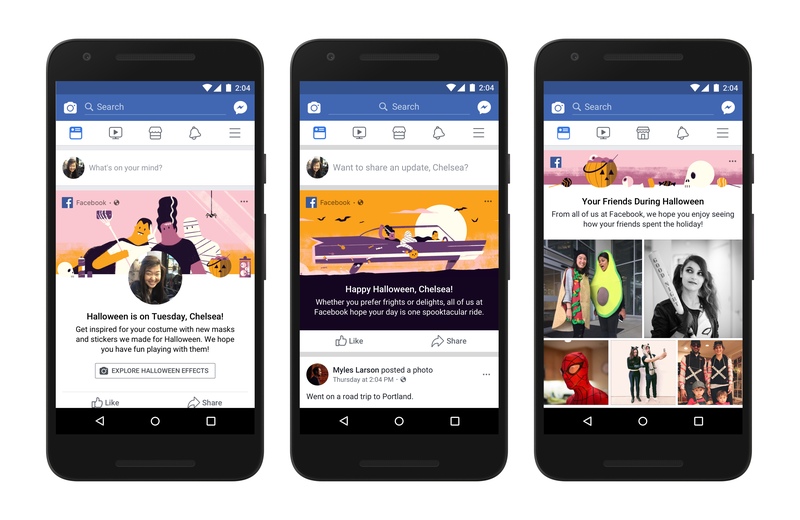 Not all features seem to be live yet, but it likely won't be too long before you begin seeing your friends in virtual Halloween attire all over Facebook.